Did you download Strimko Gold when I told you? It's no longer available. However, you can now buy this very cool, colorful version of Sudoku from the famous Grabarchuk family. They're quite prolific when it comes to producing puzzles. See links below. For this volume the specific authors are: Helen, Tanya, Peter & Serhiy. But let's talk about Strimko here. These puzzles are really not sudoku. They are actually a variation on the famous Latin Square where each row & column has the numbers 1 - whatever, depending on the grid size. But each string must also contain the same sequence of numbers. 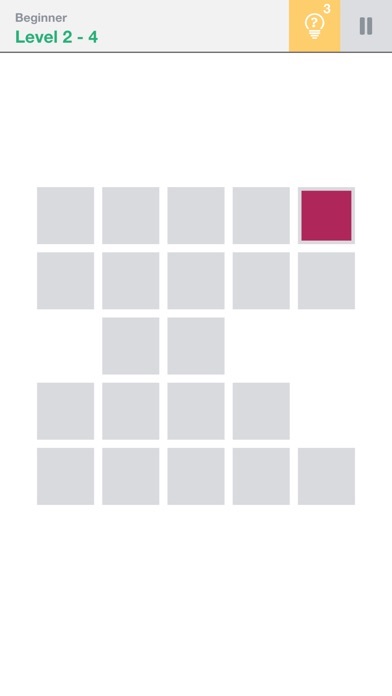 There are 150 puzzles and the grid sizes go up to 7x7. They're fun! My only qualm is that it's printed in black and white. When the app existed, the colors enhanced the overall appearance. And the Grabarchuks have assured me that the app will reappear soon. Of the 150 puzzles, I've done about half of them. Loyal Blog Followers Robert Dancer & Marcelo Pars have convinced me to give the folks at Big Duck Games another chance with their Flow games. I was never not okay with Flow. Though I've always loved the concept. Their graphics have always been outstanding. I shunned their games because the puzzles were too easy. Some were so easy that not all the cells were needed. Their hexagonal version was the easiest. Their Bridges version was interesting, but still not very challenging. Flow Free: Warps is a great leap forward. (Reminds me of an economic policy in China.) The object is the same. But there are walls and paths can to a wrap-around. 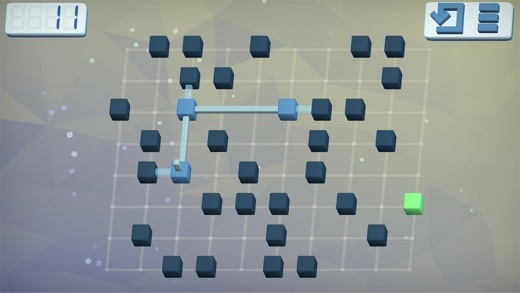 Unquestionably, these puzzles are the hardest and most fun. I'm doing these while watching tv. The section I like most is the Warpyard Park. Of the 150 puzzles, I thought the hardest were 109 & 145. In the Jumbo Jet Pack, level 123 remains unsolved. Every cell must be filled. This fact actually offers many clues that I utilize. 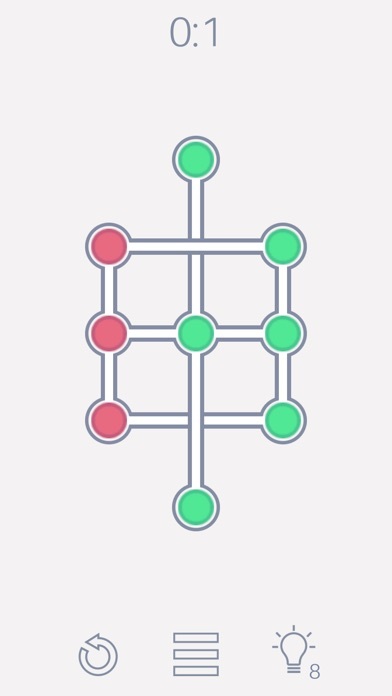 Interesting feature: some cells can only be crossed with a specific color. Minor complaint: there are 2 shades of red that are a wee bit too similar. Same for the whites. 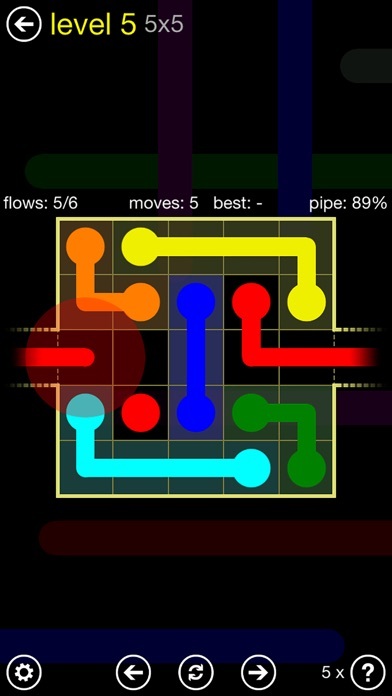 Getting back to the whole Flow Family Puzzles: they've been downloaded over 250 million times. That alone helps turn non puzzlers into puzzlers. 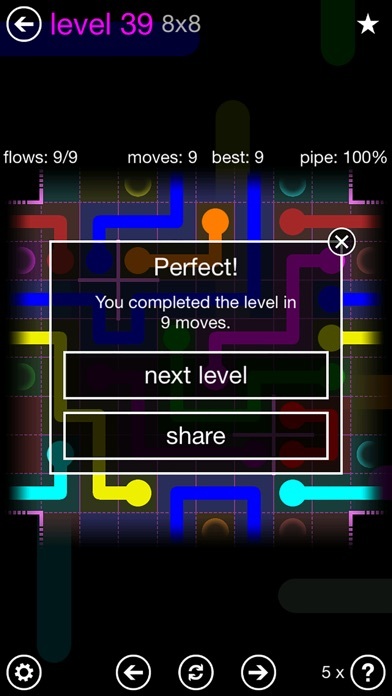 Kudos to them for that, and this game Flow Free: Warps. This version has about 1200 FREE levels. Some go very fast. I am going to do them all. High Praise: I paid $2.99, not to skip the ads, but to show gratitude. There are about 2000 levels. 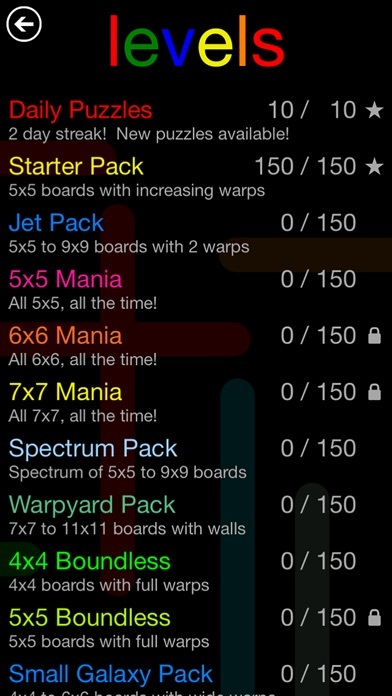 At the moment, I've solved about 1400 levels, plus all of the daily puzzles for 31 days in a row. 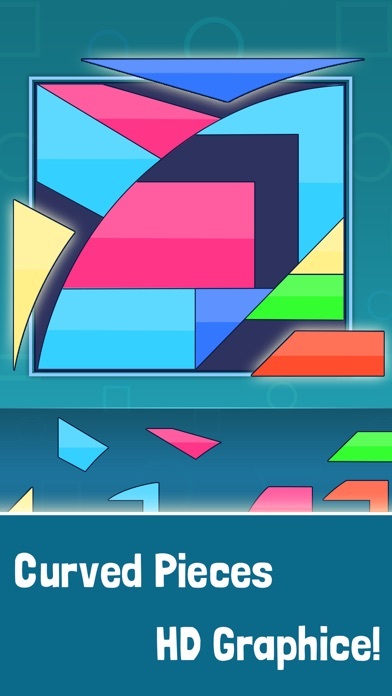 Tangram Curved Puzzle Game comes from Harikrushna parmar. The object is to fill the grid with the curved pieces. This is, quite possibly, one of the easiest puzzles ever because as you drag your selected piece over the grid, the program will not let you place it just any where. It can only be placed in the correct spot. Still, the colors and shapes are attractive. 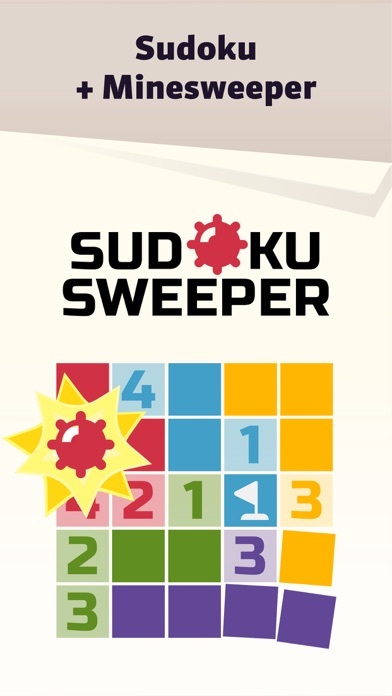 Loyal Blog Follower David Cole alerted me to Sudoku Sweeper by Edward Biden. The concept is very similar to Squiggly Sudoku where non-rectangular regions all have the same numbers. 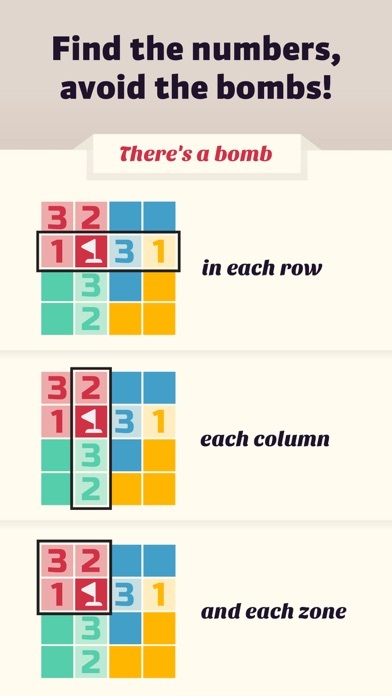 The key difference is that in this game, each region, row & column must also have 1 bomb. The Challenge Mode is my favorite. 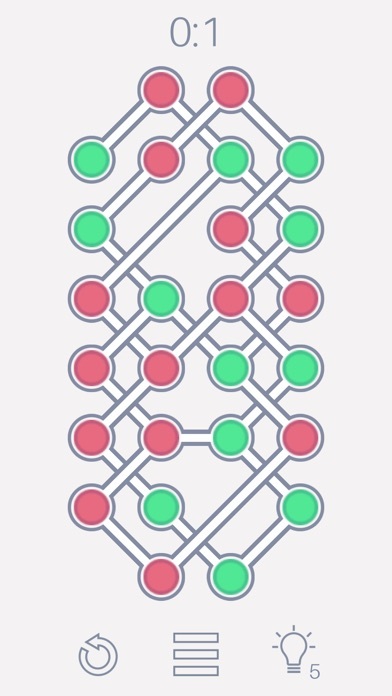 The goal is to solve a series of grids as rapidly as possible. The sequence for that is four 4x4s, five 5x5s, six 6x6s and seven 7x7s. Each level is randomly generated. The amount of time is gradually decreased. Oh the pressure! I've done the challenge at least 50 times and positively love it. But I've only completed all 22 grids just once. Because time was ticking, I did have to guess, fortunately, correctly. My high score is 63,000. 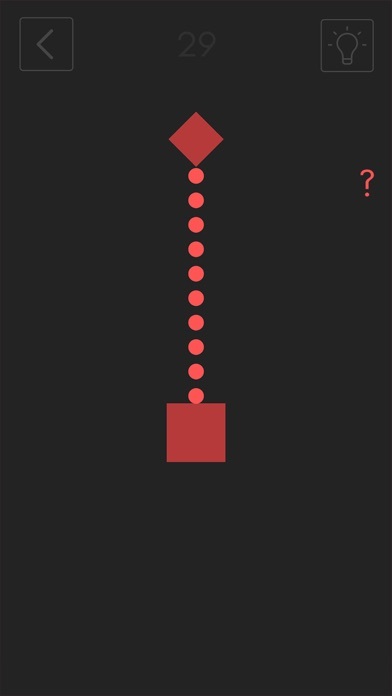 Twin Beams, is an old game from Nicola Salmoria. 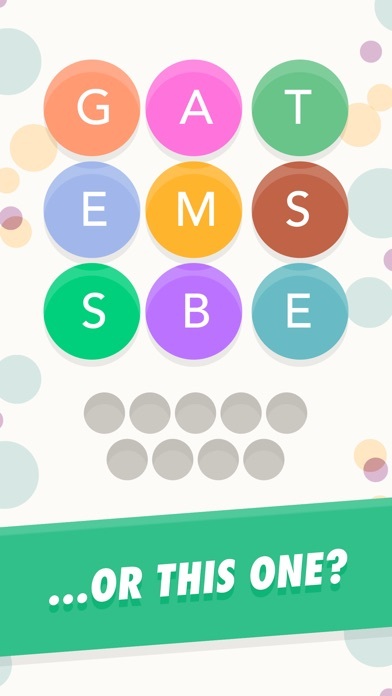 It's similar to Sudoku Sweeper. Unfortunately, it's no longer available. Kropk'i Sudoku This is really a Latin Square with a couple of innovative ideas. It plays fast. Logi5Puzz Same as NumDom. But NumDom has larger grid sizes. 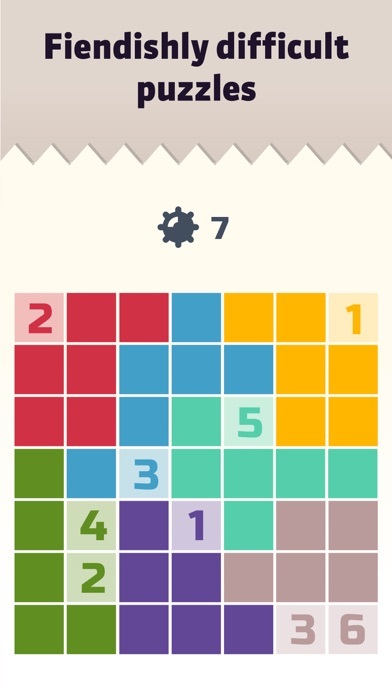 Spindoku is totally different, but still very cool. Hi-Lo Sudoku is one of my favorite variations. Cryptdoku I played it so long ago, but it's cool. Long gone from the App Store. 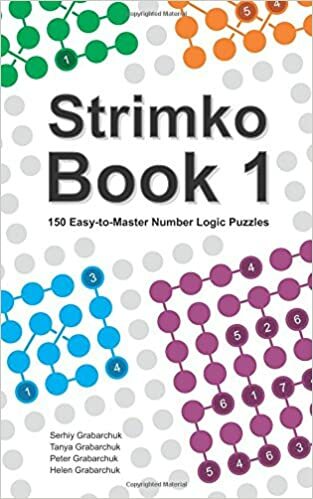 Stimko Gold - outstanding version of squiggly Sudoku. Handcrafted puzzles. FlowDoKu - one of my favorites. Will not delete this. 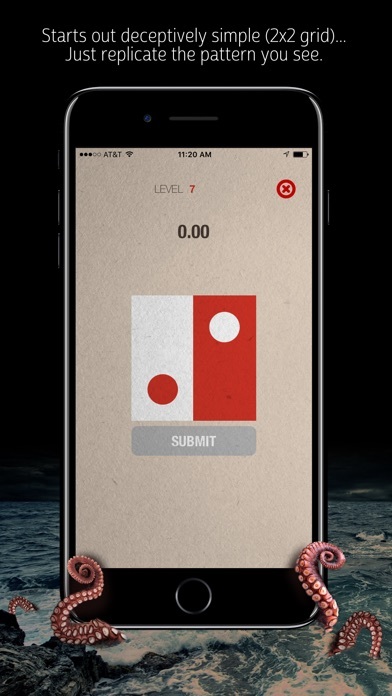 Sudoku Killer combines Sudoku with Kakuro. I've spent a lot of time on this one. I can do the easy levels in about 10 minutes. 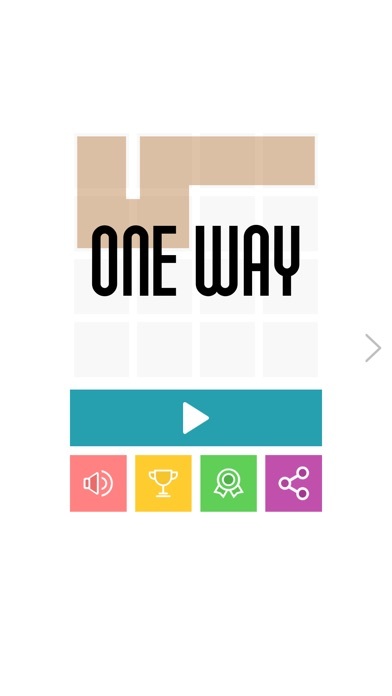 One Way Puzzle is one of those puzzles where the object is to cover all the squares with a single path. I used to love this genre. But I've done too many thousands of levels. This version has 2000 levels. I've done about 10 levels. 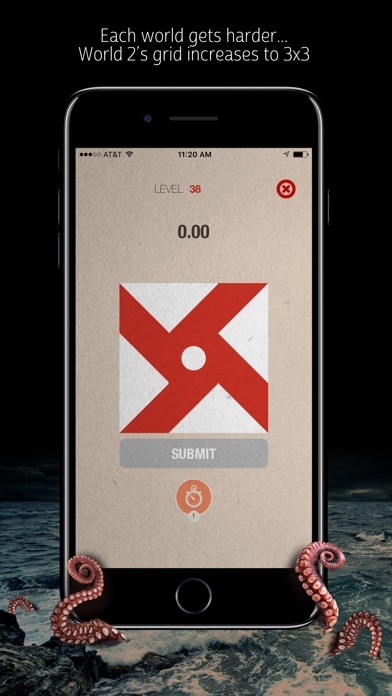 The harder levels can be accessed by writing a review. If you're new to this blog and have never seen this type of puzzle, go for it. Long time Loyal Blog Followers: skip this. 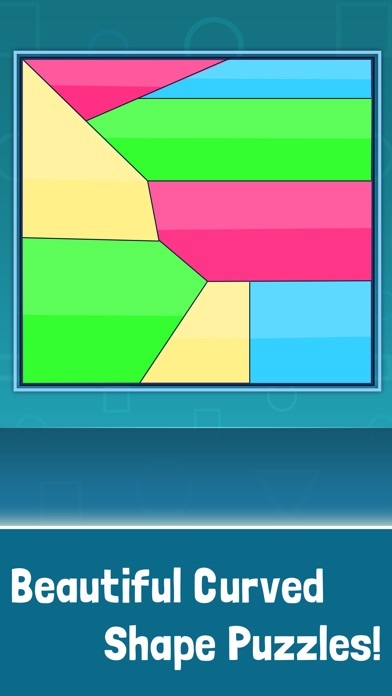 Check out Greg's new Twisty Puzzle: https://www.youtube.com/watch?v=0u6YsuEowrI It's an inner/outer twisty that's crazy hard! He's great. WordBubbles! has a lot going for it. Unfortunately, they have a lot of ads. Very Interesting: I was stuck on a 6 letter word. I showed it to 4 others. They couldn't get it. The next day, that puzzle was replaced with another. It appears that Apprope wants to keep me going at all costs, hoping that I'll maybe buy some hints. 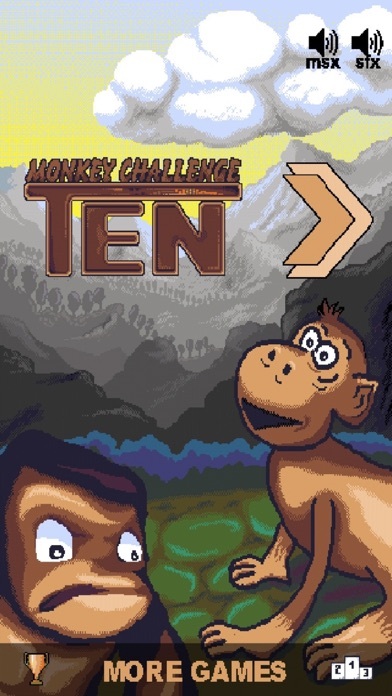 Ten monkey challenge comes from Miroslaw Zielinski. He's been publishing a lot of puzzle app the past couple of years. See list below. The object in today's game is to score point by placing tiles from the bottom to the grid and make 10 either horizontally or vertically. At the beginning, all tiles are simply 1x1 and it's easy. Very rapidly, the tiles become 2x1 and 2x2 (minus 1 square). 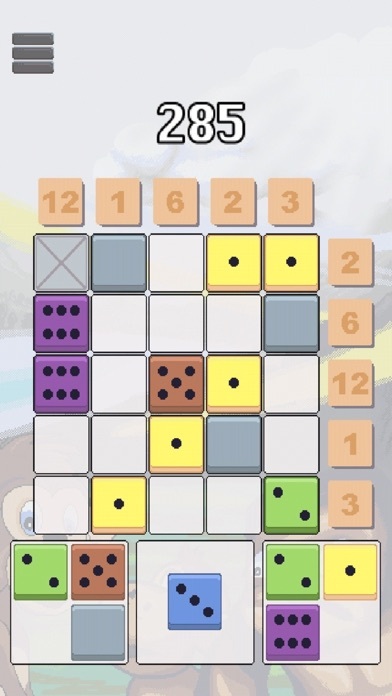 A flaw in this game is when a 2x2 (minus 1 square) pops up with two 6's and a 5. 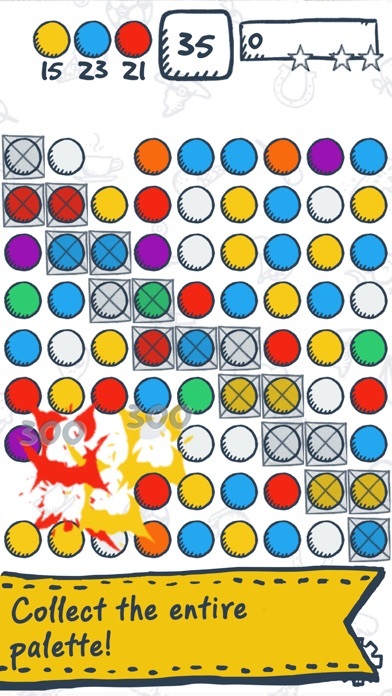 No matter how perfectly you have played the game, that tile signals the end is very imminent. At the moment, there are just 11 players on the Leaderboard. My score is 295, which I think is pretty good. But somebody has over 500, which I think is exceptional. La Palette Color Ballz comes from Nadezhda Sidorova. (I've always liked the name Nadezhda.) It's a 'match-3' game. There are hundreds of match-3 games. The most famous: Bejeweled and Candy Crush. I normally ignore match-3 games. But I decided to download this only because I love the icon. The actual game itself is pretty good. First of all: colors mix. Second: the whites never match-up. 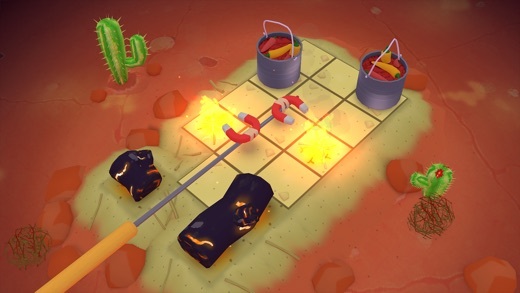 There are other elements, borrowed from Candy Crush, but that's okay. 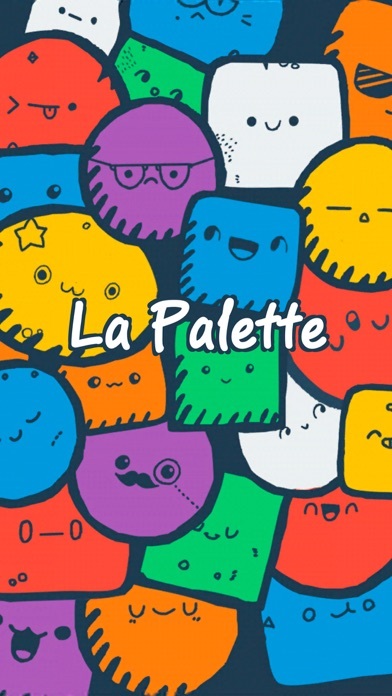 La Palette Color Ballz has a lot of charm. There are 61 levels and at the end of each, you are rewarded with a quote. For example: don't blame the rain, it can't fall up. 2017 has been somewhat disappointing in terms of puzzle app games. 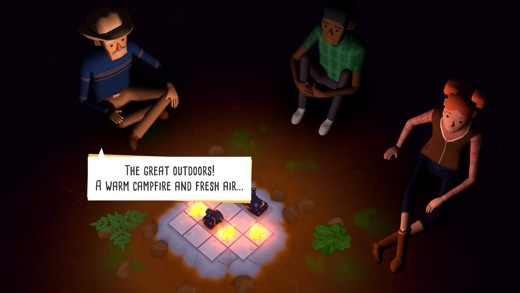 There seems to have been a drop off in the number of innovative & high quality games. In short, I've been a little bummed. Campfire Cooking from Layton Hawkes has lifted my spirits mightily. 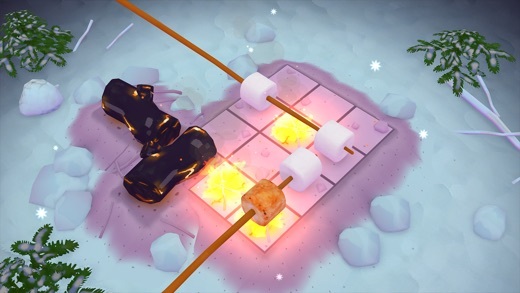 The object is to toast your marshmallows evenly on both sides. Your fork can slide forward and back. 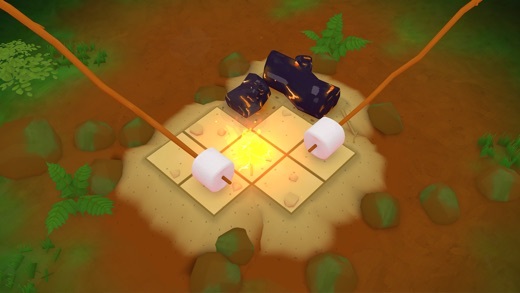 It can also roll the marshmallows when rolling side to side. 1. The wooden forks can rotate 90 degrees. 2. The metal forks cannot rotate. 3. The tin cans must rest on the fire at the end. 4. The magnets can pull the tin cans. 5. Sometimes you have to light the campfires. 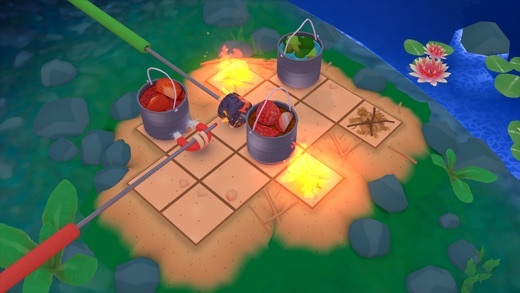 Campfire Cooking tends to fall in the sokoban category of puzzles. But not exactly. The graphics are so charming. I love the fact that there's no move-counter that awards any stars. The puzzles are challenging at a perfect level. I cruised through the first 50 levels in about 90 minutes. Then my battery died out! And I had to go to sleep. I've done about 25 more levels. I'm saving the rest for a rainy day. This game is a gem. Layton made Puzzlepops last year, which I really liked. But not as much as Campfire Cooking. Rod is definitely one of the coolest people I know. Check out this photo of him: he's the one on the extreme right. 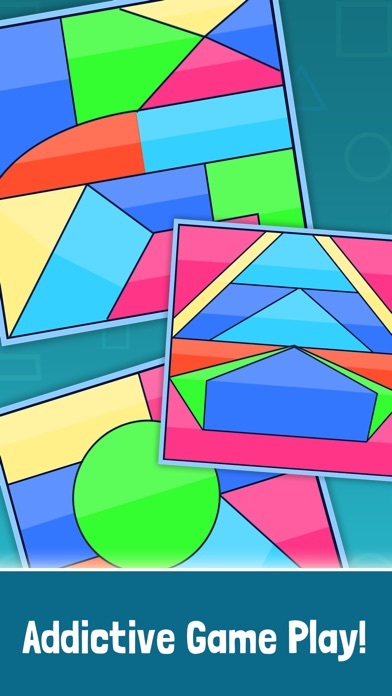 Joints Puzzle Game comes from EggShellGames. It's a lot like Lights Out. 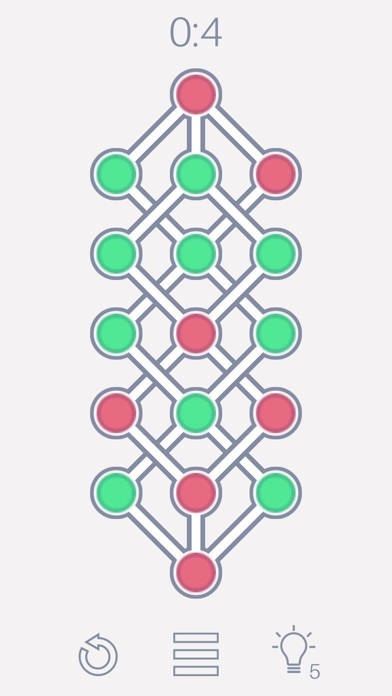 The object is to get all the nodes green. Tap on any node and it will change. It's neighbors will also change color. The graphics are very good. These are hard! Of the 144 levels, I've done about 25. Have you ever played ThinkFun's River Crossing Puzzles? It started a new genre of puzzles known as Plank Puzzles. The object is to pick up logs and use them over the stumps to create a new path to the other side of the river. Read more here. Dan Kondratyuk's Nodulus is essentially the same thing, but with cool graphics. There are 20 levels and they get pretty tough. 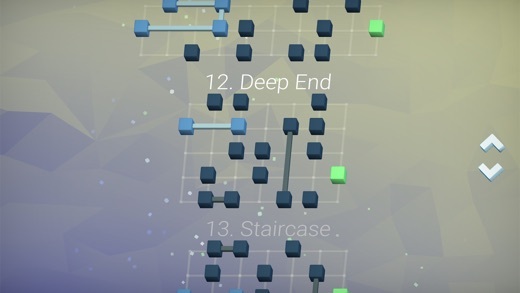 I solved the first 13 levels. More levels are coming as other players create their own. 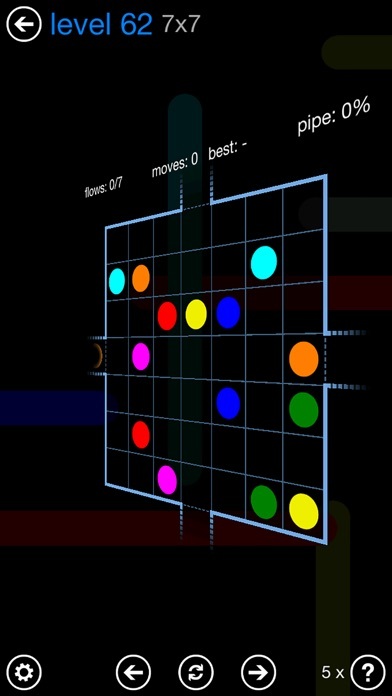 Spin Mix is an old game from 2012 that's related. It's no longer available, which means that you should download good games when I tell you to. 1. The object is to get the specific plank to the double circle target. 2. All planks can be swiveled at any time. 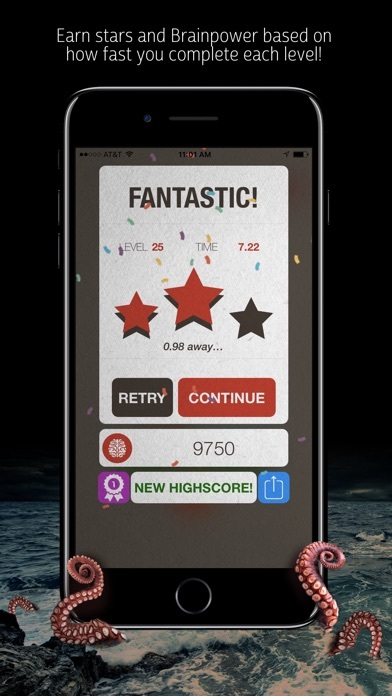 Try your best in the hardest game ever released. 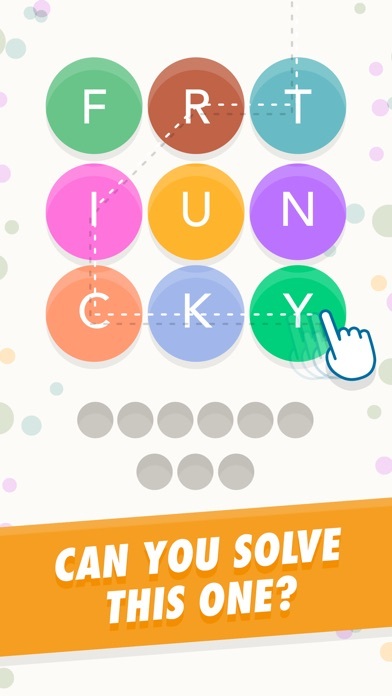 Solve 45 unique riddles and prove your genius. Download for free for mobile devices. 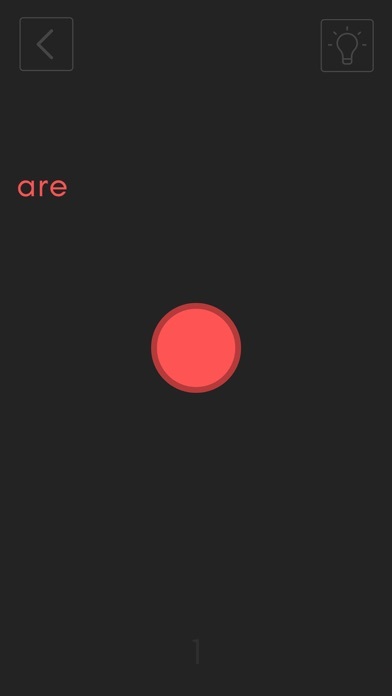 It's a logic puzzle game filled with 45 unique, mind-blowing, extremely hard riddles. 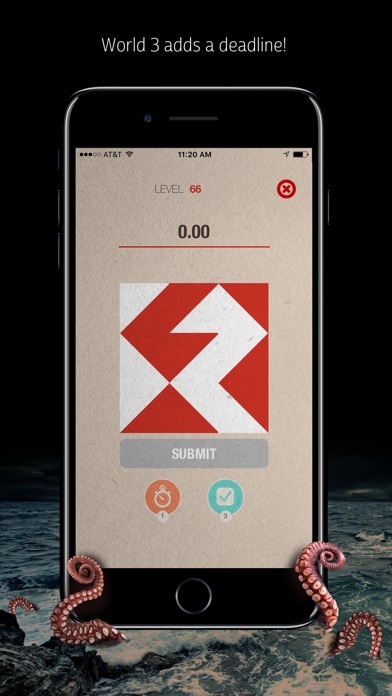 If you like puzzle games, IQ tests and stuff like that, red is for you. The objective is to get the whole screen to be red. 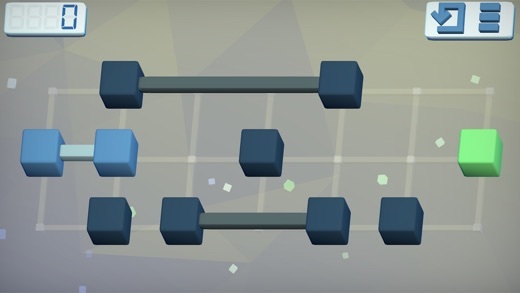 There are 45 levels and each one has a unique solution. 1. It's not the hardest game ever released. 2. Bart Bonte's Yellow (Game) came out in May of this year. it's red borrows the idea but seems to have unique puzzles. Bart's game is more polished. 3. 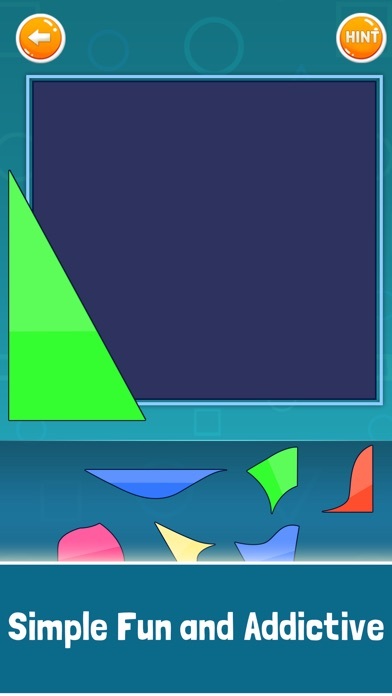 Hints are available for each level and the price is to watch an ad. 4. 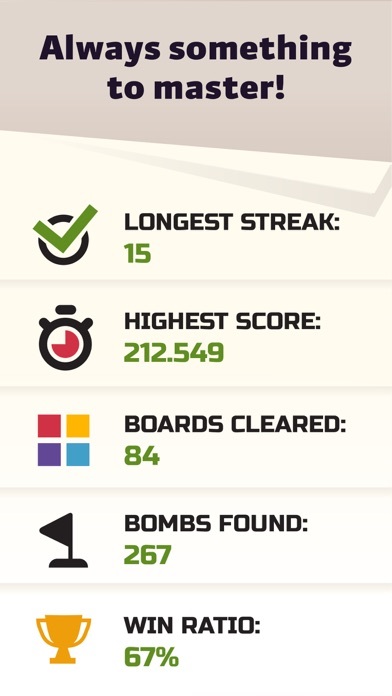 I've solved a few levels without really understanding what I did. I'm stuck on level 26. I've tried to access the hints, but that's not working for me. My grandfather's hobby was collecting clocks and repairing them. He was completely self taught. Other clock repairmen would bring their problems to him. Many years ago, he bought this Gold Coin puzzle which is now a treasured family heirloom. Recently I saw it for the first time in at least 20 years. I made this little video. The objective: What time is it? Cedric Grolet was recently awarded the honor of being the best pastry baker in the world. Check out his Rubik's Cube cakes. Scroll down a bit. 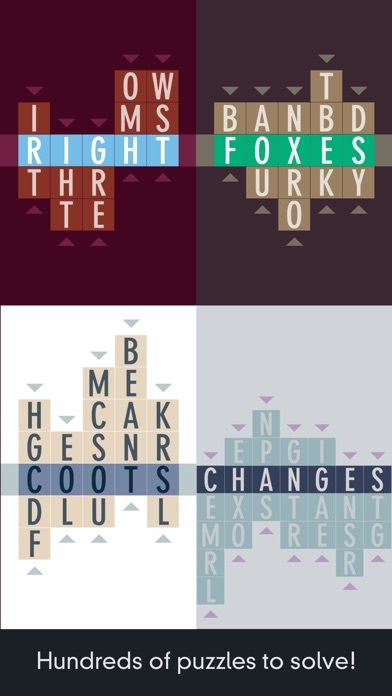 Typeshift is a word puzze from Zach Gage. The idea is to slide each column up and down and utilize every single letter. It's been a while since I played a word puzzle. This game is okay. Octopuz come from Gary Gogis. It's a game that tests your memory & your quickness. The object is to memorize the image, then rebuild it with the correct blocks. 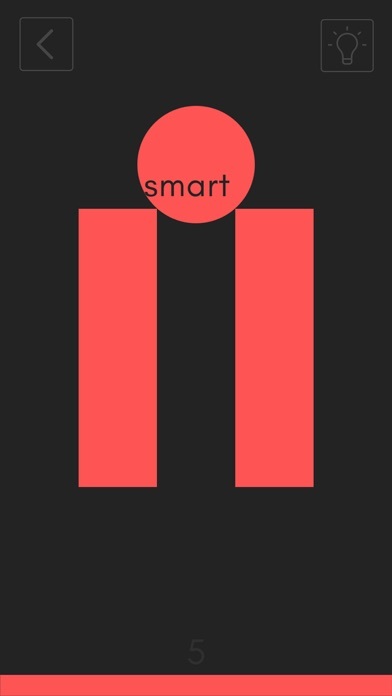 This is one of hundreds of games that promote brain training. This game is okay for a spell.